Clean water and healthy practices change everything for rural families trapped in a cycle of poverty. In Ethiopia, nearly 61 million people live without access to clean water, and most live in rural, hard-to-reach places. But we can all do something about it. Since 2016, Lifewater staff and supporters have completed 197 water projects in rural Ethiopian communities serving nearly 83,000 people with safe water, health, hope, and a brighter future. When families participating in the Vision of a Healthy Village adopt five simple healthy habits, true transformation begins to happen. 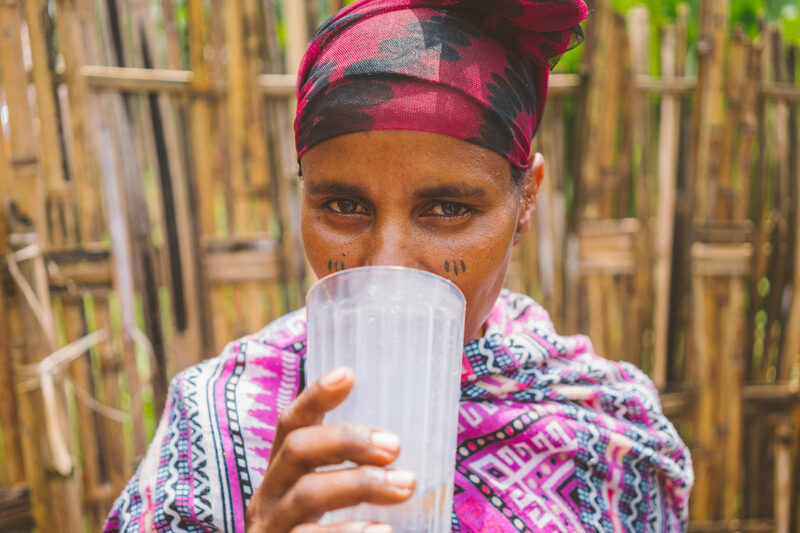 Meet five people from Ethiopia who know the powerful change that comes from clean water and healthy habits. 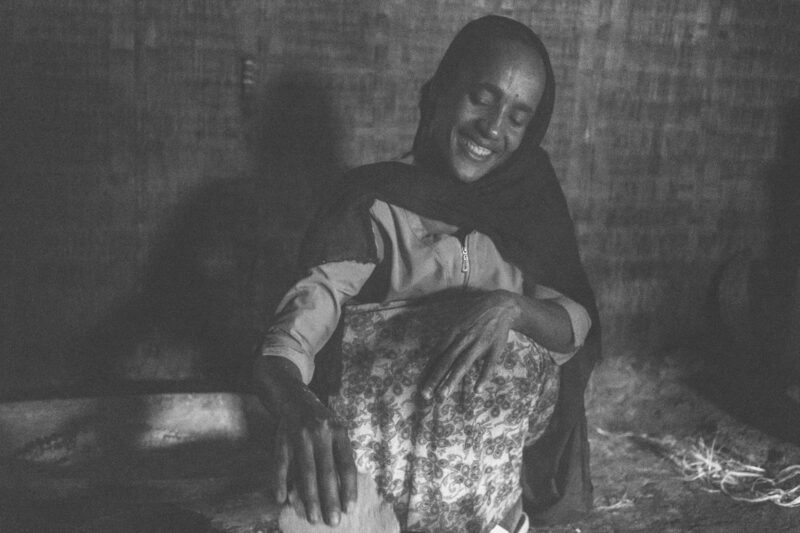 Aster makes dinner in her home in rural Ethiopia. Aster, her husband Tamire, and their five children used to suffer from waterborne illnesses, and it was typical for them to spend their little income at health clinics. Aster’s daughters would meet in the misty mornings with the other girls in the village and make the journey for water through muddy roads to a river miles away. In 2017, Aster’s village, Keramo, began working with Lifewater, and they haven’t seen the inside of a health clinic in months. Suki drinks safe water from the village well. Suki’s family used to live without clean water to drink or a safe place to go to the bathroom. Her four children were sick constantly. It cost them money, time, and kept them from prospering as God intended. Lifewater supporters helped change life for Suki and others in their village with safe water. 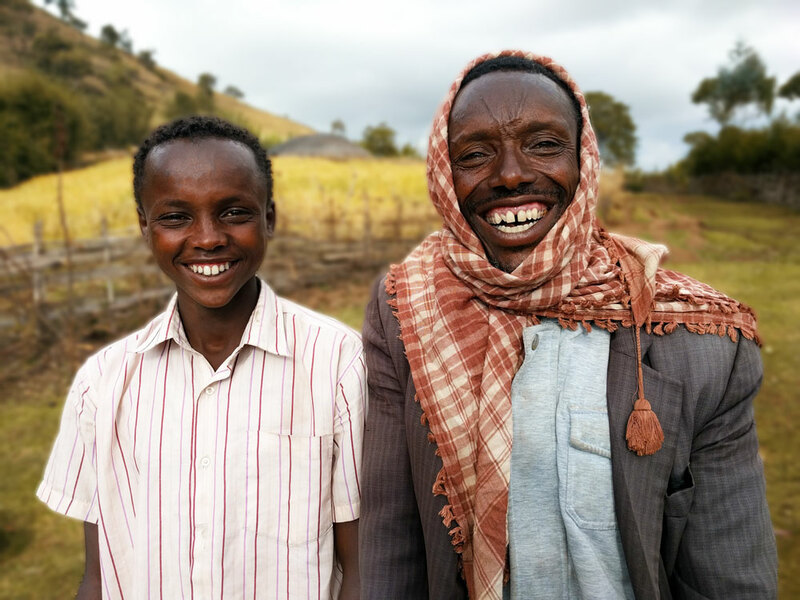 Worku (left) and his father (right) are thankful that they can drink water without fear. Worku was a toddler when he got a leech in his throat from drinking contaminated water. The local clinic removed the leech. And, Lifewater provided a well for his family’s village and staff who taught healthy practices to the community. 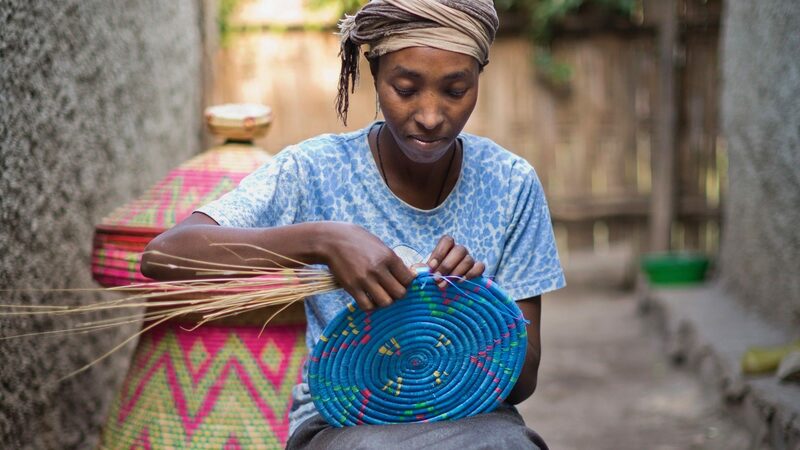 Tibka weaves a colorful basket to help pay for her school fees. As young as four years old, Tibka—like most girls in her village—spent hours every day with a large clay pot strapped to her back, collecting water from a river. But when she was 10 years old, her village got safe water, she was able to go to school. Now, she’s studying to become a veterinarian. “If I were fetching water, I could not attend school,” she said. Megene feels hopeful now that she can drink safe water. Megene is a local Ethiopian woman and mother of five young children. Before her village became healthy, they were exposed to painful, debilitating bouts of sickness. Megene’s family spent 2400 birr ($87 USD) each year on medical treatment for her five children. For a family making less than $2 a day, the cost is nearly unbearable. But, last year, Lifewater supporters changed her story, and Megene no longer drinks contaminated water. “Now, I am free from feeling of shame, disgust, and fear,” she said. Clean water and simple health practices create a healthier, more hopeful future that allows people to thrive and spend time doing the things that matter most. Each of these stories and more will be featured at the Annual Lifewater BBQ Fundraiser & Auction on Sept. 30 in an effort to bring health and hope to 10 more villages in rural Ethiopia. 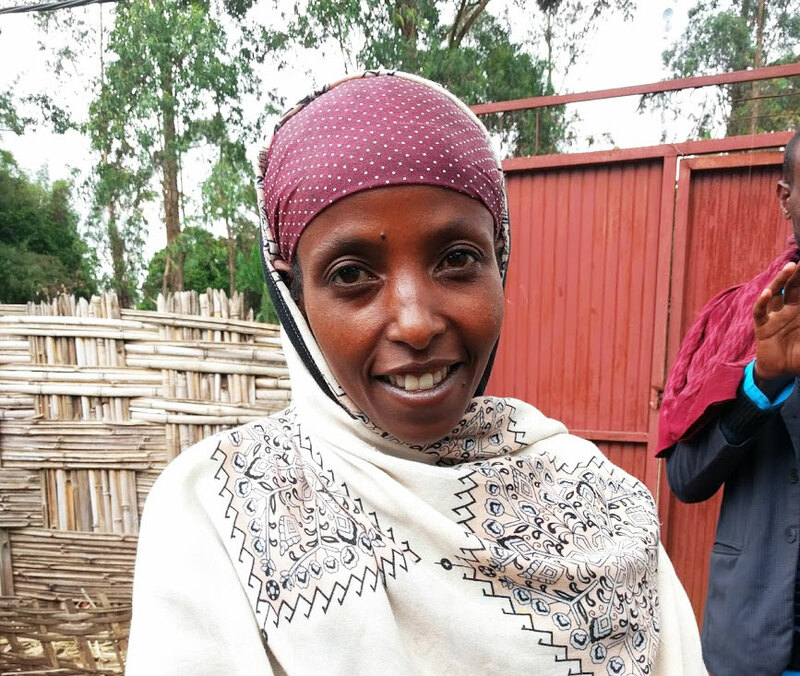 To partner with people like Megene, Tibka, Worku, Suki, and Aster by helping to fund a village in Ethiopia, donate to the cause here.